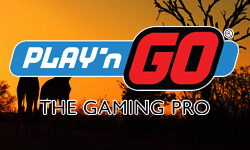 The gaming software provider, Play'n GO, is hosting an exciting South African safari promotion. In addition to the safari as first prize, there are some other top quality prizes on offer. The safari promotion is linked to the release of the Easter Eggs slot game. The holiday of Easter evokes thoughts of brightly coloured Easter eggs, lambs, and of course the Easter bunnies. The Easter Eggs slot game comes filled with all the fun that this holiday holds, with special features that include two types of scatter symbols that launch free spins features. Players also get to play a bonus game in which they get to crack open eggs to win extra coins. Players should be on the lookout for a golden egg. The golden egg is a substitute symbol that will help to create more winning combinations by replacing all other symbols except for the scatter symbols. 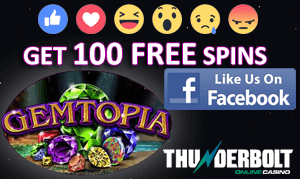 The slot game also offers the well-loved gamble feature in which players stand the chance to double their winnings if they correctly guess the colour or suite of the next card in a face-down pack. The Easter Eggs slot game is being released to Play'n GO powered casinos on 18th March 2015. The slot game is played on the standard five reels, and has 20 paylines. The new slot release is accessible to all players since it can be played both online on desktop computers, and on mobile devices. Players who wish to take part in this prize draw promotion should earn as many entries as they can. Players will be awarded a prize draw ticket for each cumulative wager that is equal in value to £/$/€ 20, and is placed on the Easter Egg slot game at Play'n GO casinos during the time of the promotion. The promotional period is from 20th March until 10th April. The more that players play, the more entry tickets they will earn, giving them a greater chance to win the South African Safari prize. The Safari is a 9-day trip for two people that will include all accommodation. The winner will also be given an amount of €1,000 as spending money. For those players who have wagered a cumulative amount of at least £/$/€ 50 on the new slot game, there will be three prize draws held on 27th March, 3rd April, and 10th April. Prizes for these additional raffles include iPads and a MacBook.